In addition to October black cat month, today is black cat day! Home / Blog / In addition to October black cat month, today is black cat day! Yes it’s true that black cats have gotten a bad rap so we’re excited to celebrate them twice this month. October is officially international black cat month and today, October 27 is Black Cat day here in the United States. Why are black cats so special? 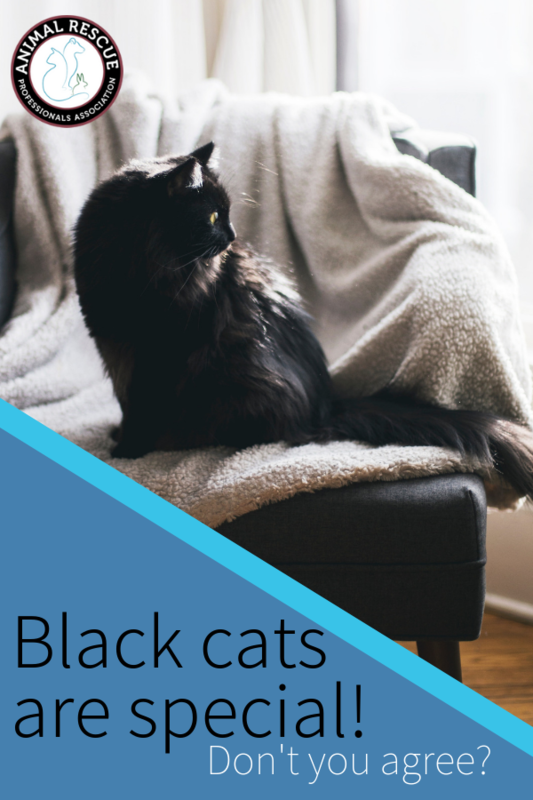 We talked a lot in our blog about International Black Cat month about the history and reasoning behind why black cats seem to get a bad rap from people. The superstitions particularly around the Halloween holiday put these tender hearted creatures at risk. 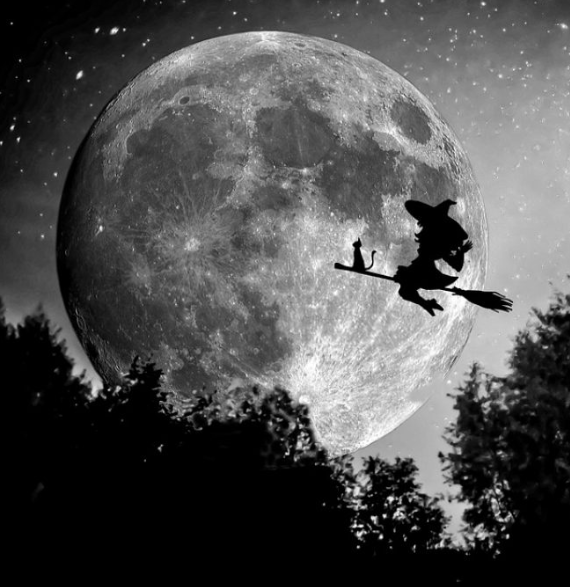 Black cats are the last cats to be adopted from local animal shelters, and they are often associated with witches, broomsticks, and bad luck if they cross your path. 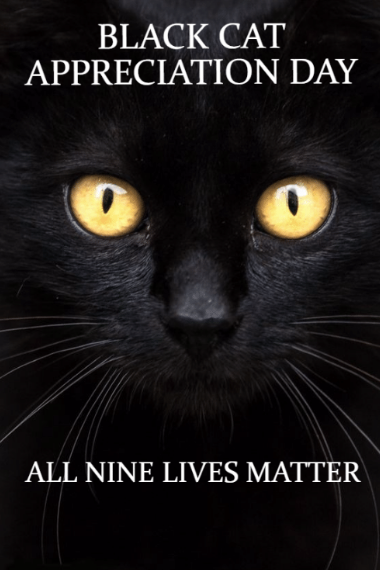 Black cats have developed a special place in some people’s hearts due to the stigmas attached to them starting back when the Pilgrims migrated here. In Japan, single women who own black cats are believed to attract more suitors. In Great Britain’s English Midlands, a black cat is the ideal wedding gift—they’re believed to bring good luck and happiness to the bride. Researchers at the National Institutes of Health discovered that the genetic mutations that cause cats to have black coats may offer them some protection from diseases. In fact, the mutations affect the same genes that offer HIV resistance to humans. Surprisingly enough, cats can experience many of the same health issues as we do—cancer, HIV and Alzheimer’s for example. So by figuring out how cats have evolved to resist diseases, researchers can learn how to prevent disease in humans as well. There is not just one breed of black cat. There are 22 cat breeds in the Cat Fanciers Association directory that list “black” as a color option. In Himeji, Japan black cats are the stars in their own café and visitors are invited to pet (but not pick up) these amazing felines. Each of Nekobiyaka’s identical-looking black cats wears a different colored bandana to make sure you know who is who. 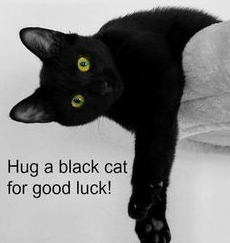 Yes black cats get two days (Black cat appreciation day is August 17) and a whole month each year. But we think that like other cats, they are pretty amazing creatures so we’re cool with it! ← Yes I am howling at the moon. Why aren’t you? It’s national howl at the moon day!